Boo! In honor of our favorite time of year we're offering a special treat, if you know the trick! Just type "treat!" in the "Special Instructions" portion of your online order and we'll deduct 10% off your total. The catch? You need to complete an online credit card order at the Middle Pillar Store between now and 12:01 AM November 2, 2007 for at least $16.66. The horror! The discount will be taken by us after your online check-out. Every title in stock is available for this creepy promotion - including all the items in our Sale section. Bwaaah Ha-Ha! 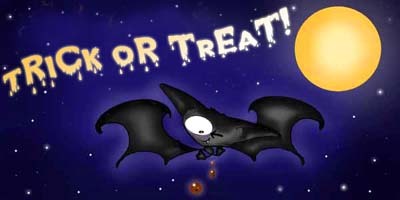 And don't forget to check out our Spooky and Scary picks! Any questions, just send an email to sales@middlepillar.com. AAIIGGHH! !